You can never trust magical creatures especially evil faeries masquerading as imps. Evil faeries hate their jobs especially doling out rewards to good children. Evil faeries don't play fair and are really awful at giving instructions. Hair is delicious. This needs reiterating. I always said that I will never outgrow reading Middle Grade novels. I crave for stories that keep me young at heart and mind, and I'm confident in saying that some of the titles in this genre can be considered gems not only by children but also by adults. However, taking the plunge is not without risks. Sometimes it pays off, sometimes it doesn't. 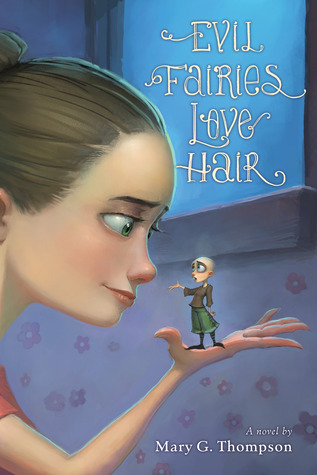 I fear that Evil Fairies Love Hair is leaning towards the latter result. Certainly, this book has its merits. It's fun, light, and has wonderful illustrations that will surely catch its readers' eyes. Moreover, Ali is a protagonist anyone can relate to. She's insecure and feels inferior to her fabulous sister. The best thing about her is even though her physical size wasn't as stable as she wanted it to be throughout the novel, she had grown to be a clever girl despite not having received her wish. It doesn't need telling that she's not the only kid who wanted a wish. That's why growing a flock of faeries became so widespread that before long kids their age began shaving or wearing their hair in a bun, so they can comply with the rules. While the story is adorable and original, it can get convoluted at times. It has a frantic quality to it that actually encouraged me to put the book down on several occasions. I couldn't get into the story no matter how hard I tried, and it makes me sad to say that this book failed to capture the wonder in me. Thompson newest novel is quite eccentric and wild in a way that it will lure a certain kind of reader. This Middle Grade novel will mostly appeal to young readers who love their plot slightly frenzied and their characters' naughty and full of mischief. Heh, I sometimes skim through some of my childhood favorites, but I usually stay away from MG novels for some reason. I love illustrated books though! So sorry hat you liked the concept and enjoyed the MC, but you couldn't connect with the book :( I hope your next MG read will be more appealing to you, lovely! I hope so too, Siiri! I don't ever want to give up on MG novels. I have my doubts about hair being delicious, but the rest of it sounds solid. :) Middle Grade books can be quite an experience, but I have to be in the right mood for them. But now that my kid is reaching that age, I've started collecting them for her and this sounds like something she'd really like. Haha! That's exactly what I was thinking but apparently evil faeries love them. 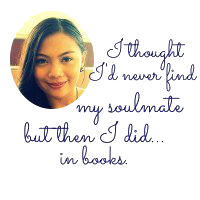 You know what, Maja, maybe that's the reason why I didn't really like the book as much as I would want to. I wasn't in the right mood. I really like MG too! I didn't actually read it much when I was the "right" age, so I'm making up for it now. ;) Nothing weird about that, though, right?! This sounds really imaginative and absolutely adorable! Sad that it didn't quite hit the awesome category though. That's one way to put it, Cait, and there's nothing weird about that except it's you speaking so I don't know...just kidding! Haha. And yes, it's such a shame I didn't like it as much. It's always a sad day for me when I don't like an MG novel. I feel like I'm getting older. Awe i don't typically read MG but i like finding gems like these to buy for my little sister (who does read MG) so i can pass them along! I'll be looking this one up for her! Yes I'm familiar with you and your creatures, Jessica. These evil faeries are nothing compared to them. Mehehehe. It does sound like this book is quite quirky and charming but feels a little too young. Lovely review! And thanks for adding me to your blogroll! I'm not a huge MG reader since I typically crave romance in my stories and that's not really a focus for MG titles, but this does sound cute overall even with the frantic quality that kept you from really settling in. I'm guessing that same quality might work well for younger readers like you said - keep them turning the pages:) Thanks for your thoughts Sarah! Oooh! This sounds super cool! I mean, really? Fairies EATING hair. Who doesn't love fairies, right? I'm fifteen but I LOVE MG books... maybe that's just me! This would be perfect you then, Tabby. :) Hope you'll like it! Thank you for the comments. I really appreciate and lovelovelove them and will try to reply as fast as I can. Have a blog? Post your blog URL along with your comments below. I would love to visit. When I met Stephanie Perkins...and Jarrod! My Word of the Year is "Prioritize"
Copyright © 2011- 2014 Smitten over Books. All Rights Reserved. Powered by Blogger.